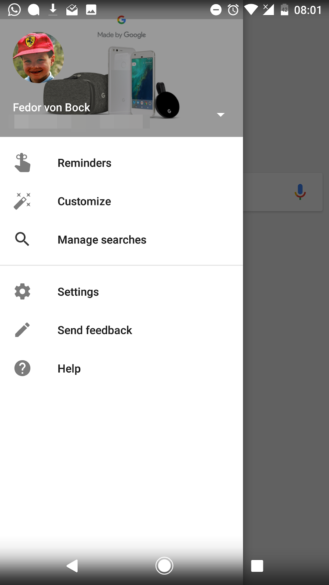 Whenever you perform a search within the Google app or widget, you have a couple of ways to access it again: you either remember the exact words you used and try the same search, or you access your Google activity dashboard, or you use the trick of tapping the Google icon to open a consequent search as a separate page to leave the previous one lurking. 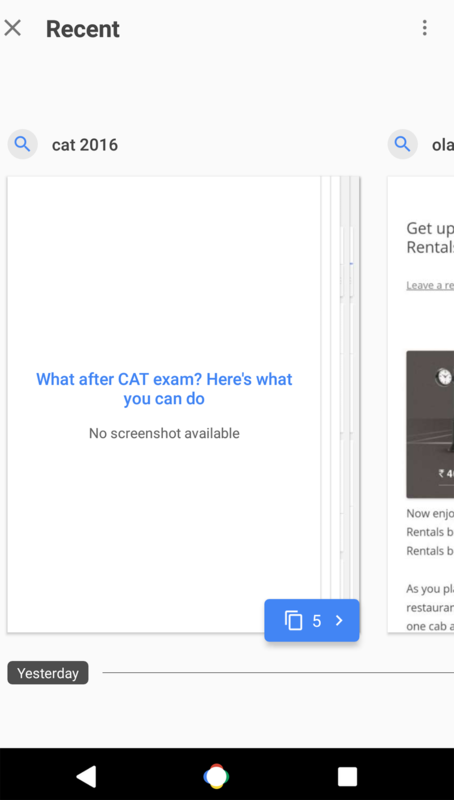 But there could soon be a better way to access your search history and call up older results. A new Recent option in the side menu opens up a side-scrolling list of all your recent searches with large thumbnails of the last result page. 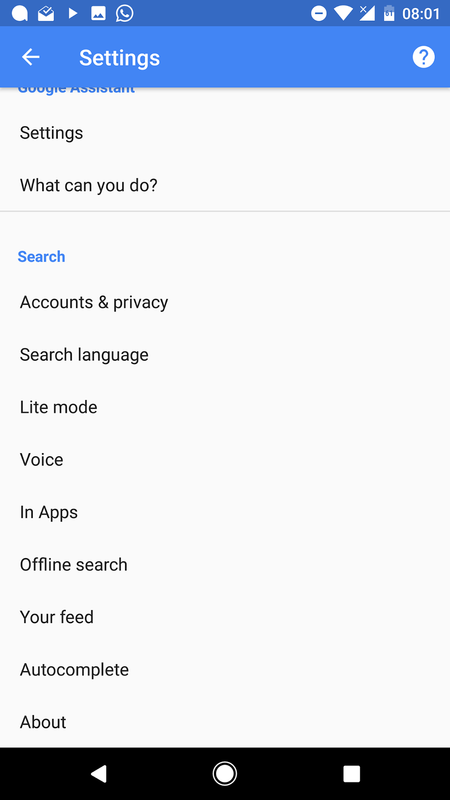 You can swipe through any of them, quickly check out an answer if it's there, or tap the thumbnail to perform the search again. 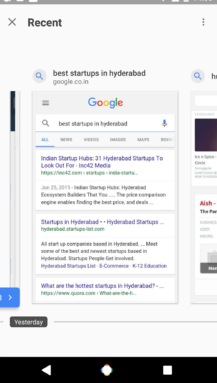 Results where you browsed multiple consequent pages are also grouped together with a small page indicator in blue at the bottom showing you how many pages are involved. 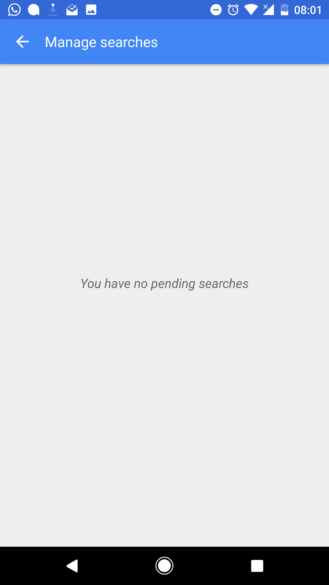 Offline searches have been in testing for a few months now. 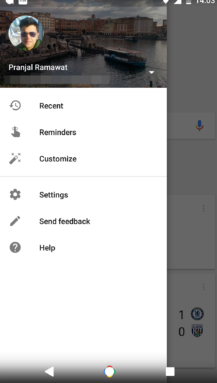 We first spotted them when a notification of a search being ready started showing up for some users: instead of dismissing a search when your connection wasn't optimal or you were offline, Google would perform it in the background whenever you were back on a better connection, and would notify you after the result page was ready. 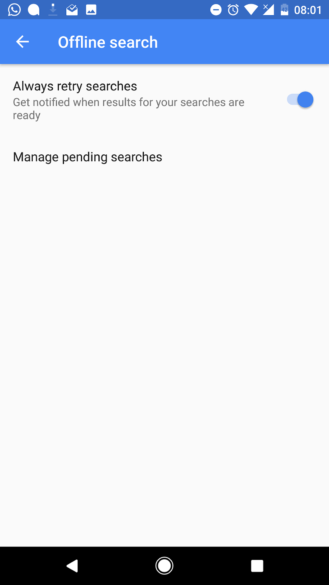 The functionality was buggy though, with some users unable to dismiss some of these notifications. 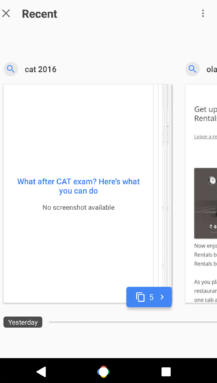 Offline searches appear to be back, albeit in a more thought-out way. First, a new Manage searches option is showing up in the side menu, letting you see all pending searches that haven't been performed yet. 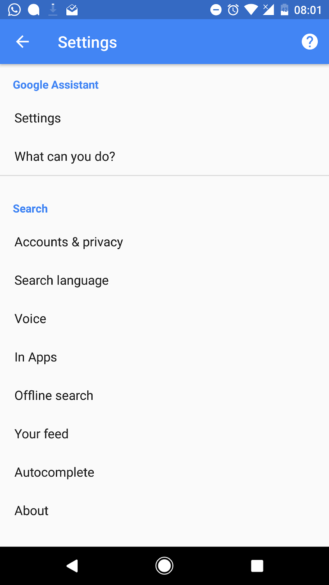 In the Google app's settings, an Offline search option lets you toggle the feature of retrying failed searches and getting notified when the results are ready. 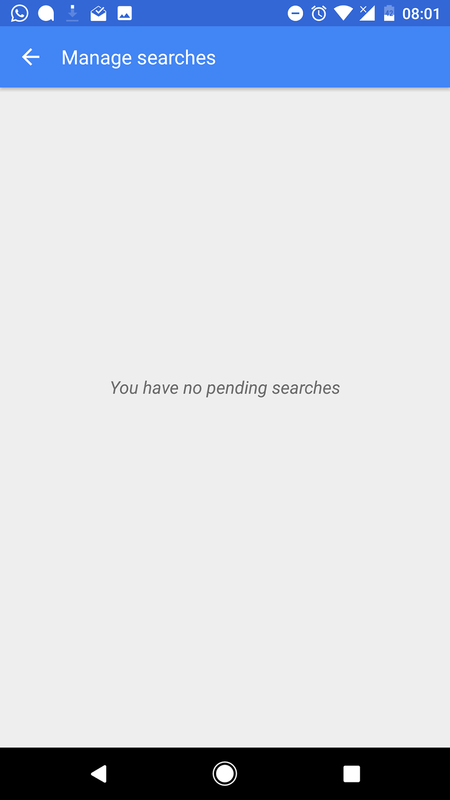 You can also access your pending searches there. And finally, there's a third option showing up in the side menu for Lite mode. If you don't remember, Lite mode started out as Google Web Light, a way for Google to serve pages stripped out of superfluous content while keeping the important parts, optimizing them for people on a slow connection. 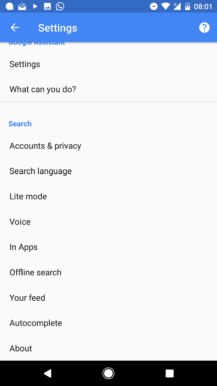 Its official introduction was with Lite Mode on News & Weather, and it looks like it could now be spreading to Google Search as well. Cody actually found this functionality in a teardown of the Google app back in October, so it's not a surprise to us. 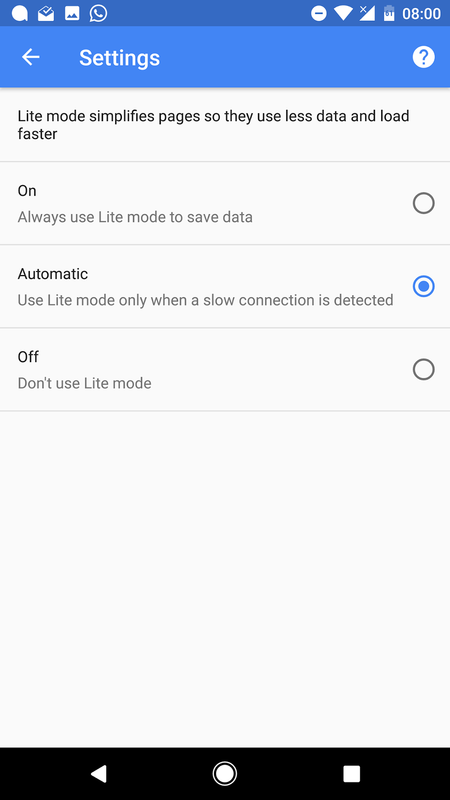 Lite mode lives inside the side menu as a fast way to view what choice you've made and access its setting quickly to change between on, off, and automatic (only on slow connections). Keep in mind that this is not like AMP pages, which were rolled out to Google Search back in September. The difference is that web developers have to optimize their sites for AMP and then Google only serves these when they exist. Lite mode, however, is like a mobilizer customization that Google - and any app developer - can implement on any page opened inside their app when it notices that the connection is too slow to serve the entire content. 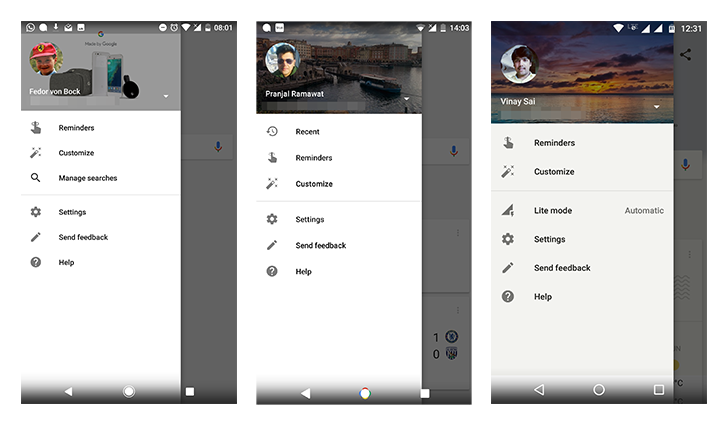 Between Recent, Offline, and Lite searches, there are plenty of improvements that could be coming our way in the Google Search app on Android. But keep in mind that these are still server-side switches that could change or even be completely dismissed before they roll out to everyone.